Amazon is one of the top ten sites in the world and undeniably a major force in eCommerce. It is one of the most customer-centric companies and according to Practical eCommerce, it attracts the most unique visitors of any online marketplace. The latest information from Alexa, the well-known web information company, reports that close to 950,000 sites link to Amazon, making it a powerful tool for retailers that are looking to grow their online business. Amazon’s goal is to enable shoppers to find anything they want at the lowest possible price and third party merchants are helping Amazon to achieve this goal. We have often pointed out that offering products on the Amazon Marketplace can help you reach new customers and retain existing ones. Many of you have taken this advice and are experiencing the benefits of increased sales through products sold on Amazon. Amazon provides programs and services to Amazon retailers to help them get noticed on Amazon and simplify the order fulfillment processes. Fulfillment by Amazon (FBA) enables retailers to grow sales without worrying about increases in packaging and shipping costs associated with rising sales as products become visible on Amazon. FBA says, “You sell it, we ship it.” Retailers are able to store their products in Amazon shipping centers until orders are ready to be fulfilled, transferring essential order fulfillment, packaging and delivery tasks to Amazon. This enables multichannel eCommerce retailers to sell higher quantities of products without having to worry about having the space to store and resources to process orders and ship their products. FBA also manages customer support and returns, giving you additional time to focus on other aspects of running your online business. Inventory with Amazon is secure and insured against possible loss or damage, another relief to multichannel retailers with limited space and budgets. Utilizing FBA allows your products to be treated as if they were Amazon products and sorted by price without the added cost of shipping which can greatly increase product visibility for shoppers. FBA can also help you to achieve Amazon’s Featured Merchant status which also increases the visibility of your products on Amazon. Another feature of FBA is that with no additional effort, you are registered for Amazon Prime which provides two-day free shipping with no minimum order size to its members. In addition, Prime includes unlimited instant streaming of thousands of movies and TV shows through Prime Instant Video and enables members to read free books each month through Kindle First and the Kindle Owners’ Lending Library. More than one million worldwide Amazon customers became Prime members in the third week of December 2013 alone. Although there is an annual cost for membership (presently $99), Prime members spend up to 150% more per order and offering products through Amazon Prime can have a tremendous impact on your sales. Robbie Schwietzer, vice president of Amazon Prime stated: “In all my years here, I don’t remember anything that has been as successful at getting customers to shop in new products lines.” According to Amazon, the number of products available for two-day shipping has grown from 1 million to 20 million and that is currently has “tens of millions” of Prime members worldwide. When selling products through Amazon, you may find increased competition with many vendors offering similar products and prices. Offering the opportunity for customer to order with Prime may be the deciding factor in picking your product over a competitor’s. Listing your products on Amazon Marketplace will get your products in front of a significant volume of traffic but you now need to find ways to differentiate yourself in the Amazon universe. To sell even more products, consider Fulfillment by Amazon and Amazon Prime to help you increase overall sales and revenue. Click here to understand how FBA works. Dydacomp has created a special on-demand webinar that provides additional information on selling through Amazon Marketplace. Access this on-demand webinar to learn how you can Achieve 60% Growth on Amazon. How Were Holiday Sales? With Too Much Data, It’s Hard to Tell. The data has been collected but the results are confusing. How did the 2013 holiday season sales perform overall? Researchers seem to be divided on the numbers and what they mean to retailers. There’s no simple answer to the big question, “was 2013 a good holiday season for retailers?” Shopper Trak and the National Retail Federation (NRF) were divided in the first seasonal measure of Black Friday Sales. Shopper Trak reported a 2.3% gain while the NRF reported a 3.9% loss over 2012. The many reports and the varied metrics used to assess holiday sales have made the holiday season of 2013 hard to call. MasterCard publishes a credit card purchases report; Shopper Trak uses data from its Shopper counting devices combined with cash register transaction information. The NRF hires a polling firm to ask consumers about their spending then makes estimates based on the responses. Online sales, reported as a separate category, contributed to the confusion. comScore which tracks eCommerce figures, reported a 10% increase in online sales; however they only includes purchases made from desktop computers, not mobile devices. Retail analysts warn that the real score for the season can’t be given in a single number – it is best to look for a separate scorecard for each retailer. Understandably, retailers play it close to the vest, remaining positive without sharing detailed information. Howard Davidowitz, chairman of Davidowitz & Associates, a national retail consulting and investment banking firm maintains that the only holiday score that matters to retailers are their margins and whether they come out of the holiday season profitably. This is certainly true for small to medium-sized eCommerce retailers as they sort out their results. The big picture data may be helpful as a comparison to industry averages, but the only true and meaningful measure is how your business has performed. As you review your 2013 holiday season results, determine where you succeeded and where you could improve. Were you visible in places where your shoppers could easily find and interact with you? Did you create the best possible shopping experience and did you handle all orders effectively and efficiently? Were there any bottlenecks in your back office operations that you could be improved this year. It’s worth the time to reflect on these questions now – it’s never too early to start thinking about the 2014 holiday season. For additional perspectives behind keeping the retail forecast score, click here to read this article by NorthJersey.com’s Senior Writer, Joan Verdon. MasterCard Advisors SpendingPulse reported that U.S. retail sales rose 3.5% during this past holiday season. 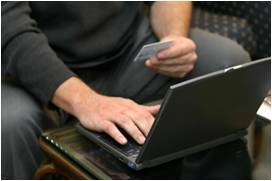 According to ComScore Inc. merchandise purchased via personal computers rose 10% to $42.75 billion. IBM Digital Analytics cited Internet sales soaring 37% over 2012 in the last weekend before Christmas as last minute shoppers rushed to order gifts at the 11th hour. Statistics indicate that while the bulk of holiday spending still takes place at physical locations, online shopping has gained immense popularity and is becoming a much larger part of holiday spending. This is good news for online retailers. Reliable deliveries are a crucial part of the online shopping experience, especially with shoppers that wait until the last minute to make their selections. This year Amazon raised the bar by offering expedited shipping with Sunday package delivery via the USPS and packages guaranteed to arrive by Christmas. Many retailers followed Amazon’s lead, extending their order cut-off dates, promising same-day and Christmas delivery even if orders were placed as late as December 23rd. Shoppers’ reactions were so overwhelming that UPS and FedEx experienced overloaded systems that caused numerous Christmas and same-day delivery promises to go unmet. The growing popularity of free shipping to entice consumers was another major factor that resulted in increased shipment volume. In the third week of December, Amazon’s Prime membership drew more than 1 million people. Prime membership ($79 annual fee) offers free two-day shipping. Most last minute online orders needed to ship via air or other expedited methods to reach their destination in time. Bad weather across the nation cancelled or delayed many flights which contributed to the shipping woes. Being prepared comes from lessons learned and this holiday shopping season was certainly a teachable moment for both shipping companies and online retailers. Both need to pay attention to aggressive shipping options, promotional offerings, weather considerations, order volume and timing issues to avoid a repeat of 2014’s shipping woes. There is a lot of revenue riding on the ‘run-up to Christmas’ and 2014 will only see the gain of one more shopping day (26 to 27 days) between Thanksgiving and Christmas. Shipping schedules that allow for unforeseen delays will need to be factored in to deliveries. Connecting with customers early in the season (before Thanksgiving), offering more realistic order cut-off dates, not waiting until the last minute to offer the best deals and handling logistics more efficiently can help to avoid future holiday shipping issues. For a closer look at the issues and opportunities surrounding shipping, please view the On Demand Webinar, Because Free Shipping Isn’t Free: The Top 7 Reasons You Need Effective Retail Promotions. Retailers aren’t letting a shorter holiday selling season in 2013 [there were 32 days between Thanksgiving and Christmas in 2012 but only 26 days this year] dampen their sales expectations as they gear up for this year’s holiday shopping. As evidence of the optimistic outlook, the National Retail Federation (NRF) reported that the country’s retail container ports are anticipating a 5.1% increase in the number of cargo containers in September 2013 over September 2012. Import volume at the New York and New Jersey ports is expected to rise 10.6% over 2012 in the fourth quarter of this year and first quarter 2014 deliveries are expected to increase 6.7% over 2013. It looks like retailers are eager to stock up to be ready to meet customer demands. Several factors are contributing to the positive outlook for holiday sales. Ben Hackett, founder of Hackett Associates who produced the NRF’s Global Port Tracker Report noted that “Second quarter GDP was well above expectations and surprised most forecasters, the unemployment picture is improving, and we believe consumer confidence will translate into increased sales during the fourth quarter.” Despite ongoing concerns related to the shorter selling season, the consumer spending impact of a government shutdown, increased payroll taxes, unemployment levels, and small income gains, the National Retail Federation expects U.S. sales in November and December to rise 3.9 percent to $602.1 billion. That would surpass the 3.5 percent increase seen in 2012 and average growth of 3.3 percent over the past decade. Retailers have already started the big holiday push and will keep this up to attract shoppers across all channels. Be mobile optimized. You can’t ignore the trend. More and more shoppers are using smart phones, tablets and other mobile devices not only to browse, but also to shop and place orders. There’s no telling when, where and on what device your shoppers will be accessing your site so it’s up to you to be sure everything looks great and works well across all devices and across all of your shopping channels. Have real people available to respond to inquiries. Help shoppers resolve any ordering issues that they encounter. Don’t lose or frustrate customers by not being able to talk to a ‘live’ person during the holiday season. Put together gift suggestion guides on your website and email the link to your loyal customers. It’s not always easy coming up with just the right gift and shoppers will appreciate your help. Attract early shoppers by starting now. Twenty percent of shoppers will start their holiday shopping in October, so don’t wait for Black Friday to get their attention. Time your promotions and let customers know that you’re fully stocked and ready to meet their holiday shopping needs. Plan a holiday season contest. Contests are a good way to drive business and get new customers for your brand. According to Listrak, three to four percent of recipients of contest offers place orders from the registration confirmation email. Contests such as name Santa’s newest elf will engage shoppers. Encouraging your audience to vote for their favorite names enables you to widen your reach even more. For additional information on how to be prepared for the upcoming holiday season, access our on demand webinar, “The Top 5 Insights to Help Prepare for Season and Holiday Rushes.” Happy selling! Apparel retailing is a highly competitive sector and apparel retailers are keenly aware that today’s shoppers have no limits as to where, how and when they shop. Where once the brick and mortar storefront was the only way of getting apparel into customer’s hands, shoppers today expect to be able to shop 24/7, 365 days a year. According to Moody’s Investor Services, online apparel and footwear sales are expected to exceed $40 billion in 2013 and $45 billion in 2014. It is estimated that online apparel and footwear sales account for close to 20% of total eCommerce sales in the U.S. and smart apparel retailers are honing in on this fast growing segment. Apparel retailers must be active and visible in a variety of sales channels to reach the widest variety of new and repeat customers. Technology has enabled etailers to offer improved online merchandise presentation to present multiple views of an item in varying colors and styles so that website shoppers can interact with their selections. Detailed customer reviews offer valuable online shopping assistance to simulate shopping with a friend. Online shoppers are also attracted by special promotions, especially “free shipping,” which more retailers now feel pressure to offer. Multi-channel retailers with brick and mortar locations often allow in-store returns to further enhance the flexibility of the online shopping experience. An order management system can help online retailers gain visibility and bridge the gap between their eCommerce store and their back office to stay on top of available inventory and order progress across all sales channels. Order management systems support Customer Service activities to effectively engage with customers with timely and accurate order information. A consumer-facing website, catalog sales and physical stores, or any combination, require a high level of coordination and information management with the objective to create a personal shopper experience across all retail platforms, encouraging shoppers to return again and again for their apparel needs. Apparel retailers benefit from seamlessly integrating all business processes across multiple sales channels to capture data, manage inventory and shipping and create the best online shopping experience. Utilizing an integrated order, inventory and customer management system will enable access to a complete history of previous purchases to create an enhanced level of personal service. Having this information at the fingertips of customer service representatives facilitates up-selling and cross-selling and gives customer service staff the ability to make relevant purchase suggestions based on customers’ preferences from past purchases. Capturing this information lets the retailer create targeted mailings and promotions aimed directly at the most likely to buy shoppers. At Dydacomp, we have worked with thousands of SMB retailers and have learned from them what best practices they follow for success. By delivering positive shopping experiences and interactions, apparel retailers create targeted promotions to attract and retain a constant stream of customers. Dydacomp’s whitepaper “Dressing for Success – Best Practices in Apparel and Specialty Retailing” addresses the characteristics, strategies and practices to grow your business. Click here to access this special report. As most of you know by now, Dydacomp support is now tracking and closing tickets better than ever by using a new ticket logging system that we have implemented several months back. I speak to clients every single day, and I have come to find that most people using MOM and SiteLINK support are still not aware of our online ticketing system that allows you as our customer to open, close and track your open support issues. The video below is a tutorial on what our online ticketing system offers and how to use it. Let us know if there is a video you would like to see! 5 Reasons to Checkout the M.O.M. User Forum Today! Dydacomp’s Multichannel Order Manager User Forum is a great resource for M.O.M. users. Here are 5 reasons why you should check this site out today! 1. You will find a collection of useful tips from experts that help you get the most from M.O.M. On the M.O.M. User forum, we have compiled a number of useful articles to aid in your discovery of ways to effectively integrate M.O.M. into your business. Popular articles include the Top 5 Things Overlooked in My Preferences and Order Processing Tips. 2. Find out important information on any updates or new features we have added to M.O.M.. These additions are vital to keeping your M.O.M. software running smoothly. The M.O.M. User Forum is a great resource for you to find out how to install the updates, what changes were made and how they will benefit you. 3. The Frequently Asked Question section provides you with answers to questions the support team is commonly asked. We encourage you to comment and add your own insight and/or questions as well. You might be surprised to find an answer to a M.O.M. question you haven’t even thought to ask yet, so check it out! 4. The truth of the matter is the more you know about a software program, the better you are at using it. The M.O.M. User Forum provides you with plenty of resources (Webinars, User Guides, Articles, FAQs, How-Tos, etc.) that you can look over on your own time to help you understand better Multichannel Order Manager and SiteLINK. These resources are open to the public, and therefore can be accessed without registration or log-in whenever you want them. They are there for your convenience 24 hours a day, 7 days a week. 5. Is there a question you need answered about M.O.M.? Well, submit it here and we’ll be sure to answer it ASAP. This is a great place for you to communicate with Dydacomp and recommend articles you would like to read. Feel free to comment on articles as well, especially if you have any tips you would like to share yourself! Here at Dydacomp we want you to feel comfortable with M.O.M. and know M.O.M.’s ins and outs as well as our experts do. That’s why we created the M.O.M. User Forum. We recommend you check it out because, as the expression goes, you learn something new every day! How to Setup Invoices in M.O.M. You can easily establish what type of invoice you want to send to your customers under the forms tab in Global Parameters. Go to the Maintain drop down menu, select System Information, and then select Global Parameters. The forms tab should be displayed. Depending on the setting for Combine Invoices with Packing Slips, invoices can be combined with packing slips in Stage 2 of Order Processing. Depending on this selection, invoices may not be printed in Stage 11. Combine Invoices With Packing Slips (Stage 2) For – This setting enables you to combine the invoice with the packing slip in Stage 2, eliminating the separate invoice form printed in Stage 11. The combined form is an invoice that can be packed with the order. By selecting All Orders, all invoices will be combined with packing slips for every order in Stage 2 of Order Processing. However, orders with drop shipments will still print separate invoices in Stage 11. If you select No Orders, a separate invoice will always be printed in Stage 11 of Order Processing for each order. By selecting the Simple Orders option, M.O.M. will combine packing slips and invoices only for those orders that 1.) are prepaid 2.) have all merchandise sent in a single shipment 3.) have one shipping method 4.) are shipped from just one warehouse 5.) have the same billing and shipping address, 6.) are not drop shipped, 7.) are not service items. Forms Imprinted – Check this box if you are using invoices that are imprinted with your company name/logo and address. Leave the box empty if you are using blank or “generic” invoice forms so M.O.M. can print the company name/logo and address on the invoice. Email Invoices To Customers – Check this box to enable M.O.M. to send a Preformatted Email Invoice to your clients that have Email selected as their contact preference in the Financial Tab of their customer records. Laser Invoice: This is the normal invoice that customers receive with the order information as well as pricing details. The L Form: This invoice includes the shipping labels to help you reduce the time needed to match up your packing and shipping paperwork. The G Form: This invoice is similar to the L Form, but you can allow your customer to include a personalized gift message with their purchase which is then included on the invoice. The W/S forms: These invoices will include the information that is needed to help to streamline your warehouse procedures. This form will include all the details needed to pick, pack and ship the orders in one easy form. For more information on any of these forms, check out Software Form Plus. If you have any comments or questions, please feel free to comment and let us know! How to Setup Free Shipping in M.O.M. There are many different incentives to get your customers to purchase your products. One popular method is to offer your customers free shipping on orders. This is easy to set up in Multichannel Order Manager (M.O.M.) and there are several ways to allow free shipping on an order. One way to achieve this would be by creating a shipping method that would not charge anything to the customer. This is done by going into the Maintain drop down menu and selecting the Shipping Methods option. You can then use FRE, for example as the code to be used on an order. This method would be sent to, not charged to the customer. The invoice sent to the customer would show 0.00 for shipping. If you wish to show on the invoice that you gave the customer free shipping, you would create a new stock item in M.O.M. called ‘Free Shipping’. Mark this as a service item and leave the unit cost and price as 0.00. When added to an order, you can change the unit price to the negative amount of the shipping total. Another method to offer free shipping is by using an Order Promotion. This is done by going to the Maintain drop down menu, followed by the Advertising Information option and select Order Promotions. You may want to allow this promotion to only those customers that meet specific criteria. This may be Source Key given to them via an email advertisement. Or by using a particular customer type. Hope this clears up any questions you had on how to apply free shipping in M.O.M..
Let us know if you have any questions or if there is anything we can help you with!